ºStuttgart. The Panamera S Hybrid marks the beginning of a new chapter of Dr. Ing. h.c. F. Porsche AG, Stuttgart’s Porsche Intelligent Performance, continuing the success story of its four door Gran Turismo. Without sacrificing sportiness and elegance, the new Gran Turismo combines the total power output of 380 hp (279 kW) with best case consumption of only 6.8 l/100 km (41.54 mpg imp.) of fuel based on the NEDC. That equates to CO2 emissions of just 159 g/km. That doesn't just make the Panamera S Hybrid the most economical Porsche of all time, it also puts it streets ahead of all the full hybrid production vehicles in its class, the luxury class, when it comes to fuel consumption and CO2 emissions. It achieves these values thanks to Michelin’s even lower rolling resistance all season tyres developed specially for the Panamera and available as an option. But even with the standard tyres, the new Porsche hybrid model’s fuel consumption is at an unprecedentedly low level in this class at 7.1 l/100 km (39.79 mpg imp.) based on the NEDC – which equates to 167 g/km CO2. The Panamera S Hybrid sets new standards, both in terms of classic performance and when measured against hybrid vehicle characteristics. The Panamera S Hybrid accelerates from a standing start to 100 km/h (62 mph) in 6.0 seconds, reaching top speed at 270 km/h (168 mph). The range in purely electric mode is approximately two kilometres (1.24 miles) with electric driving possible up to 85 km/h (53 mph), depending on the driving situation. The Porsche hybrid drive is also the only system in the world able to exploit additional consumption reserves thanks to so-called "sailing" on motorways and main roads. This entails disengaging and switching off the combustion engine at speeds of up to 165 km/h (103 mph) (Cayenne S Hybrid: 156 km/h (97 mph) during phases when no power is being delivered by the combustion engine. The Panamera S Hybrid is driven by the same engine combination that has already proved itself in the Cayenne S Hybrid: The main propulsion is provided by a three litre V6 compressor engine delivering 333 hp (245 kW) supported by a 47 hp (34 kW) electric motor. 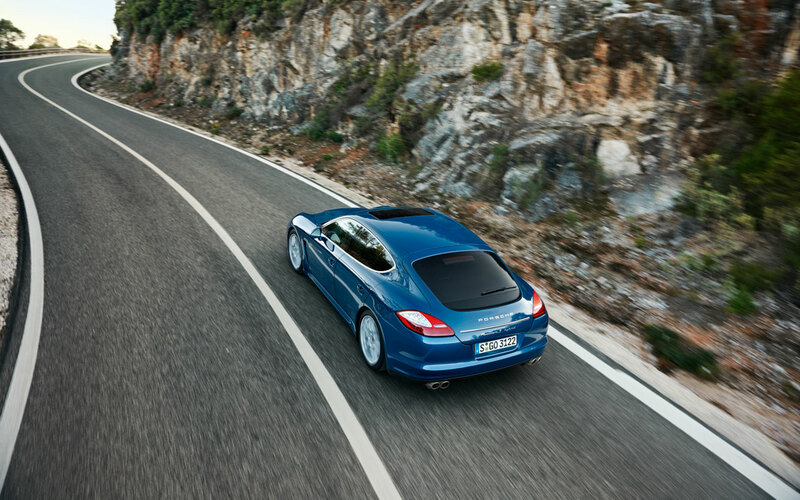 Both machines are capable of powering the Panamera S Hybrid either alone or in combination. The electric motor also operates both as a generator and a starter. Together with the decoupler it forms the compact hybrid module located between the combustion engine and the transmission. 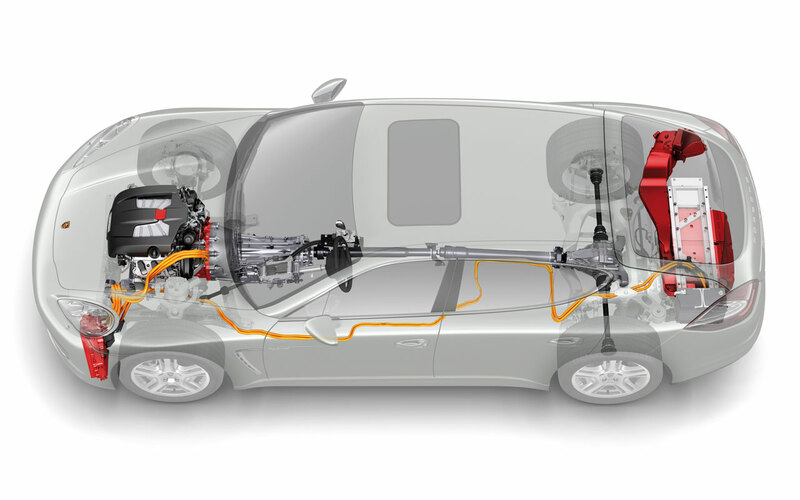 The electric motor is connected to a nickel metal hydride battery (NiMh) where the electrical energy recovered from braking and driving is stored. Power transmission is handled by the familiar eight-speed Tiptronic S fitted as standard in the Cayenne models with a wide spread of ratios. The range of standard equipment for the Panamera S Hybrid is even wider than that of the already extensive standard equipment of the Panamera S with eight-cylinder engine. For example, the hybrid model is fitted as standard with the adaptive air suspension including the adaptive shock-absorber system with PASM, with Servotronic and a rear wiper. The new Gran Turismo also features the Cayenne S Hybrid’s innovative display concept that provides the driver with all the relevant information about the vehicle’s specific hybrid driving status. 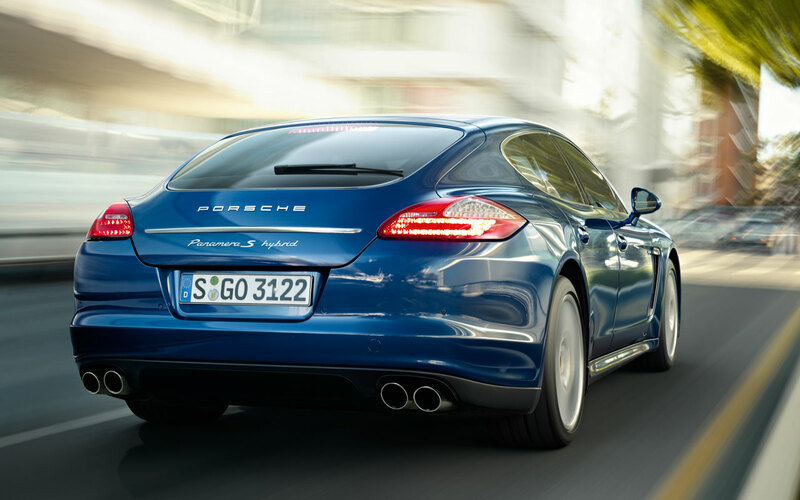 With the new hybrid variant, the Panamera model line now comprises six different models. This offering underlines the strategic importance of “Porsche Intelligent Performance“ and creates totally novel highlights in the luxury segment – from sporty to environmentally friendly. This chimes with what customers want, as the major market success is already confirming. Approximately 15 months after sales started, not quite 30,000 vehicles have been delivered. That means the Gran Turismo has seized a 13 percent share of the upper and luxury segment. 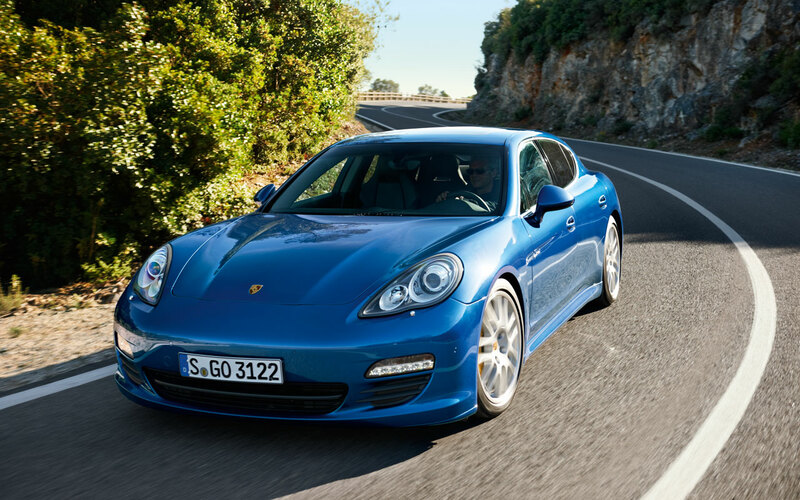 The new model will further boost the attractiveness of Porsche’s fourth model line in the market. 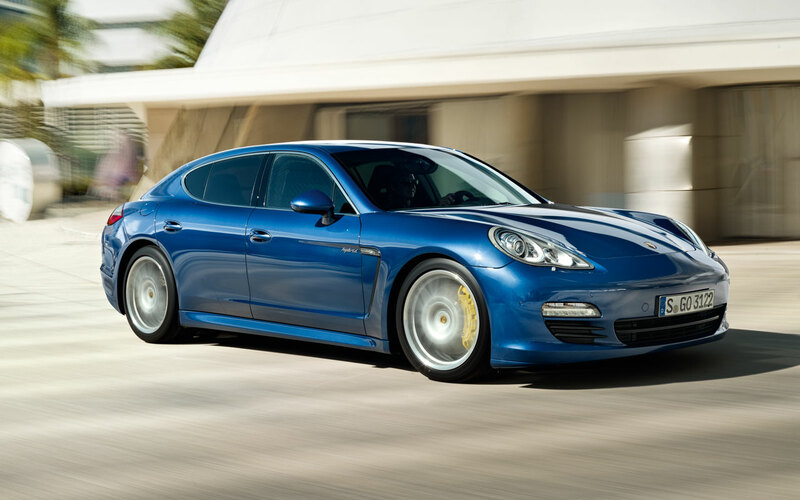 The Panamera S Hybrid will come on the market in June 2011 and cost 106,185 Euros in Germany, including VAT and country-specific equipment.